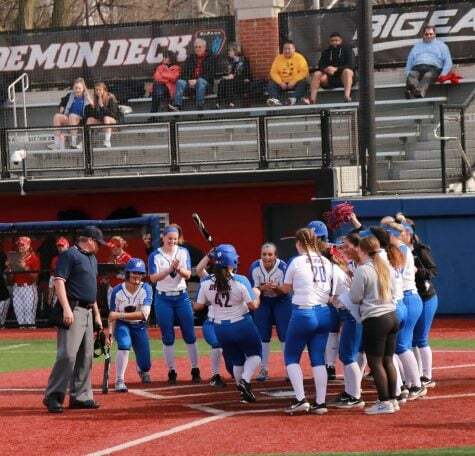 After falling behind 2-0, the Blue Demons responded with two runs of their own in the bottom of the first inning, before taking the lead an inning later. 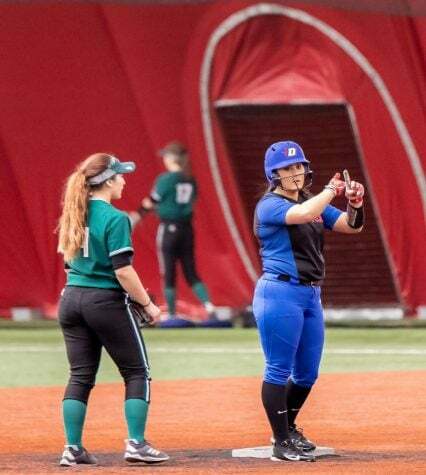 Senior Megan Leyva, who was named the Tournaments Most Outstanding player with a home run and three RBIs on Saturday, said she was ready for the swings of momentum and pressure that comes with a tournament appearance being on the line. 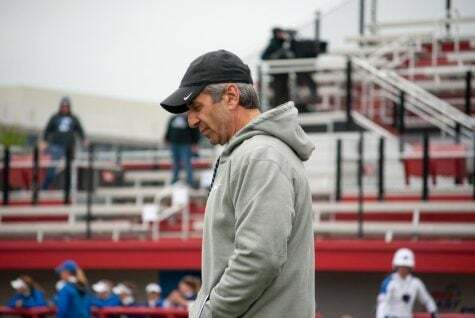 Head coach Eugene Lenti, said he was happy his players were rewarded for their hard work, overcoming a variety of challenges including injuries and a spring filled with poor weather. The weather was again a storyline with the game being delayed close to two hours midway through the third inning due to lightning. 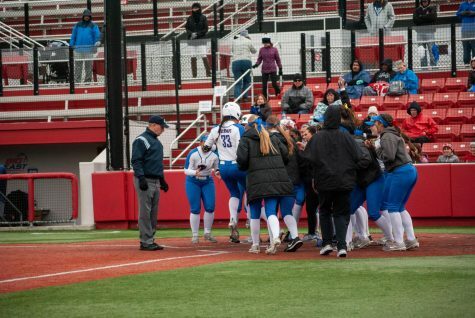 This came after the Blue Demons had just taken a 3-2 lead in the bottom of the second inning on a sacrifice fly by Kate Polucha. 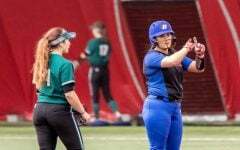 The inning opened with Alysia Rodriguez, Haydn Christensen and Skylor Hilger all reaching base base setting the table for the top of the order. Lenti praised the bottom of the order for getting the job done. Similar to Friday when DePaul also trailed 2-1 early, Lenti said he wasn’t concerned about his offense getting going after the Bluejays grabbed the early lead. 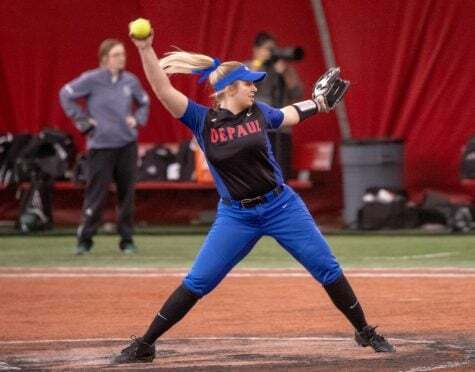 DePaul extended their lead with a two-run home run from Leyva before adding another run in the sixth inning from Jessica Cothern to open up a 6-2 lead. 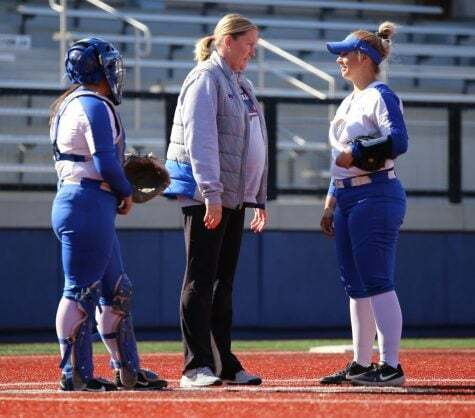 Lenti said adding a couple insurance runs was big to give freshman Pat Moore, who picked up her third save of the season in relief of starter Missy Zoch who went the first four innings, margin for error. 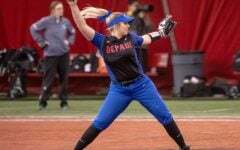 Megan Leyva hit her 10th home run of the season Saturday afternoon to give DePaul a 5-2 lead. 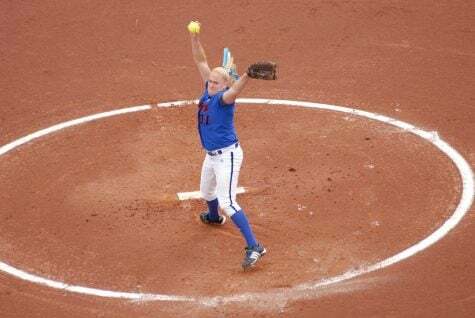 Moore, appearing in her first tournament game, finished with five strikeouts including three in the sixth inning to strand the bases loaded. 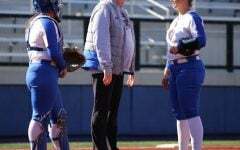 She said it was exciting to close out the game and now they are just ready for regionals. 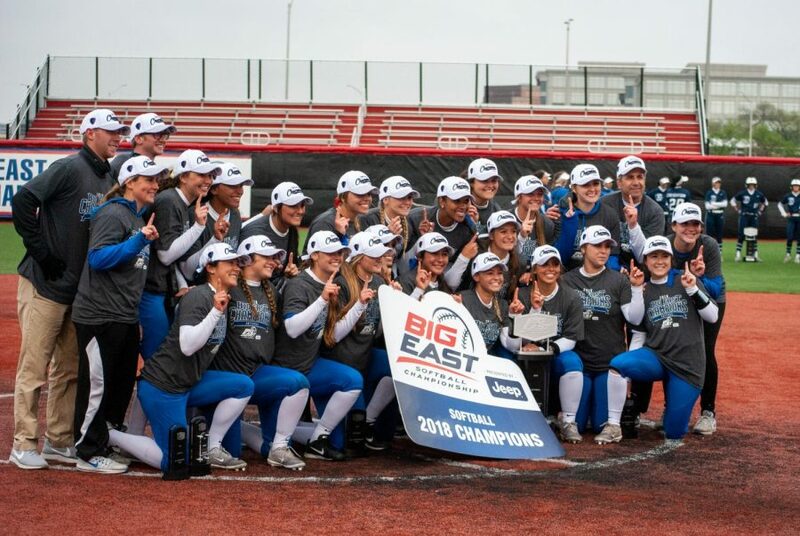 This marks the first times since 2011 and 2012 that the Blue Demons have been to consecutive NCAA Tournaments.